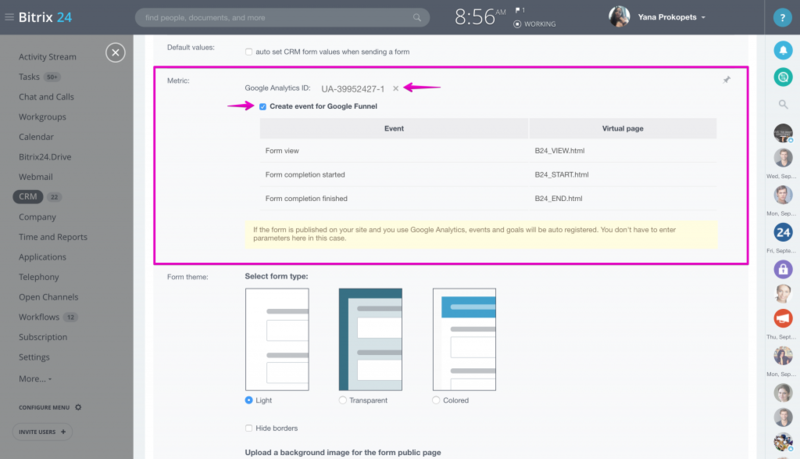 Name your form - the form name is an internal system name that your clients won't see. Add form title & form description - conversely, this will be shown to your clients. 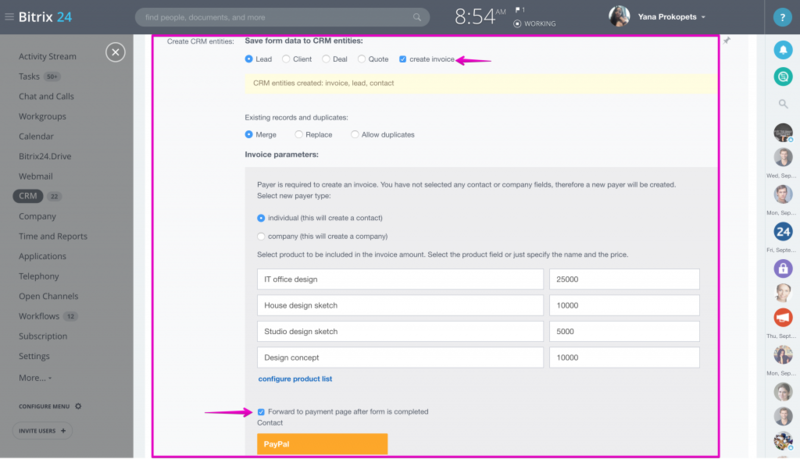 Add fields to the form: you can add lead, contact, company, deal, quote or invoice default & custom fields to the form with the help of right-side menu. 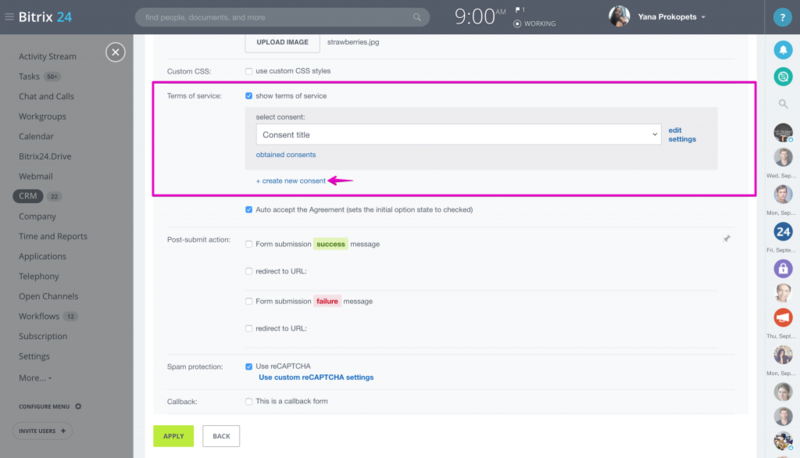 Click "+" to unroll fields available for each CRM entity. If you need to add a new custom field to lead, contact, etc. 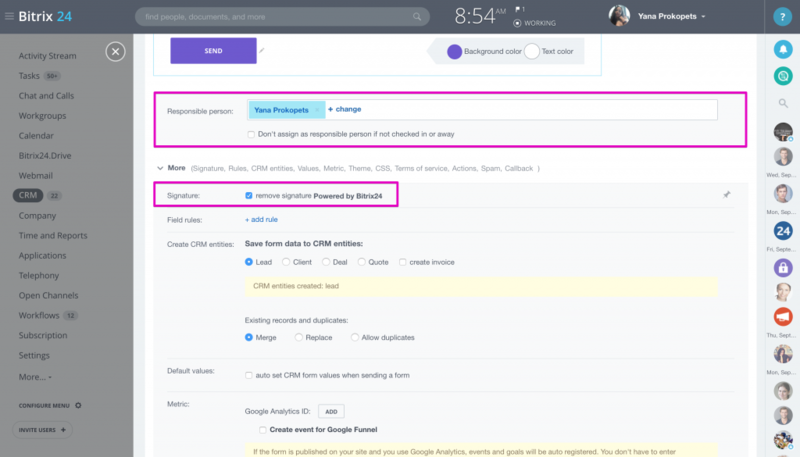 please go to CRM > Settings > Form & Report Settings > Custom fields. 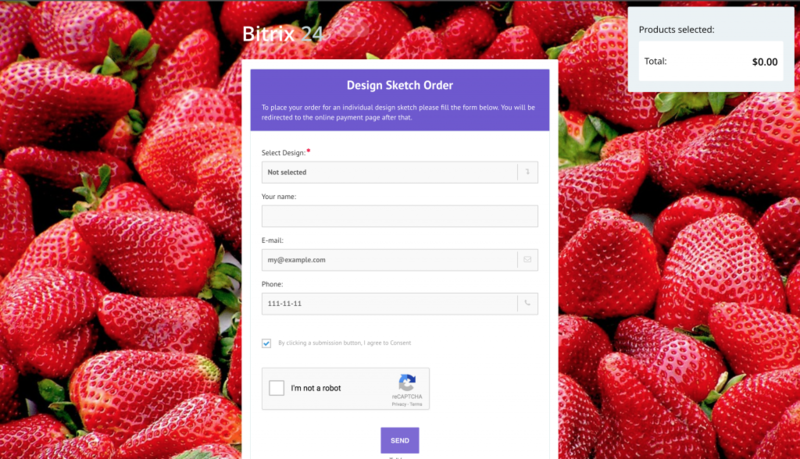 Add products (services) to your form - if you'd like your clients to choose products they are interested in or to be redirected to online payment page (Paypal), then add product list to your form. Don't forget to rename the product list - this name will be shown to your clients - e.g. "Choose product". Click on Settings icon next to product list field to configure: sel ect products to add them to the form. You can make this field required if needed. Check form design tools such as sections, separators, line breaks, background & text colors. The Send tab can be renamed as well. 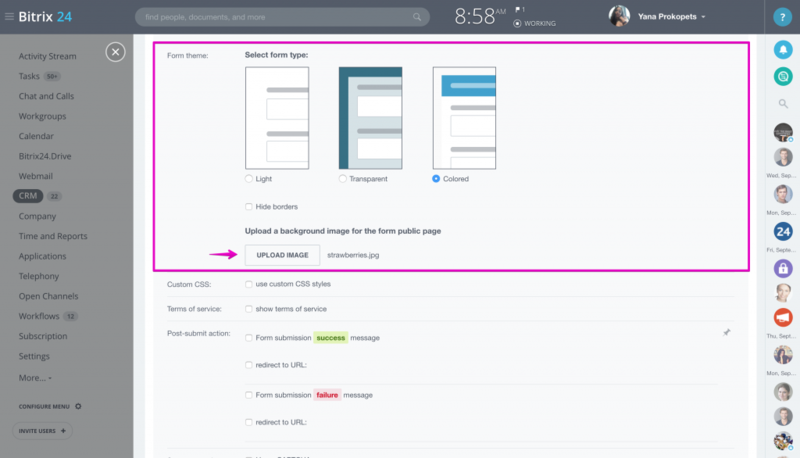 Form theme & custom background image can be configured under "More" options. 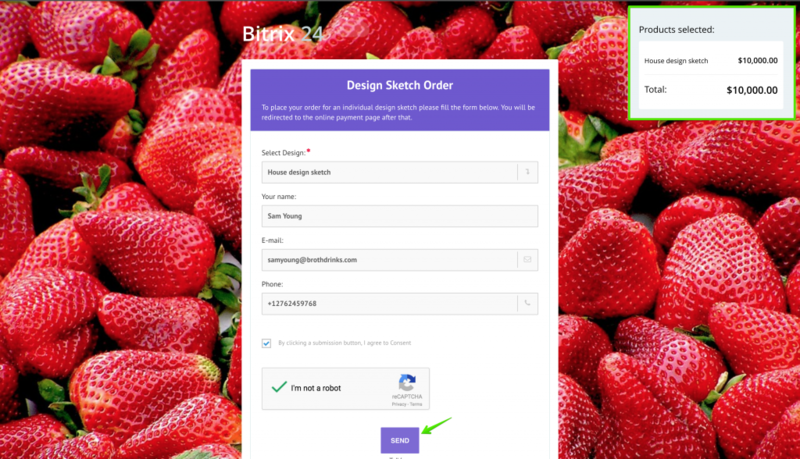 You can disable Powered By Bitrix24 signature here as well (for commercial plan subscribers only). 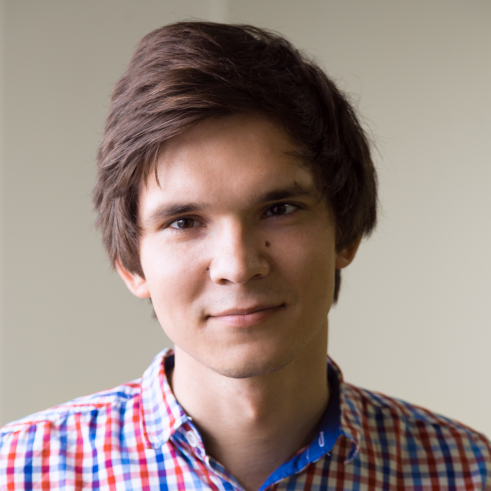 You can use custom CSS styles as well. 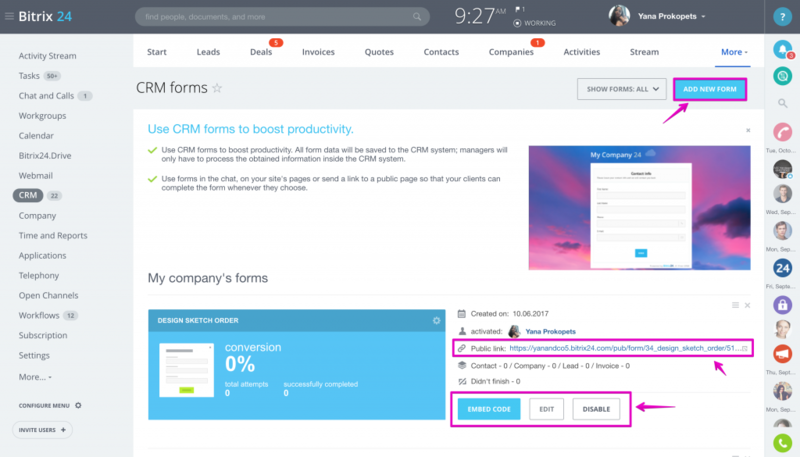 One of the most important settings blocks for your web forms is below: here you can choose what type of CRM record will be created from the filled web form - lead, client, deal or quote. Online web form payment option is configured in this block too - turn on Create Invoice option. 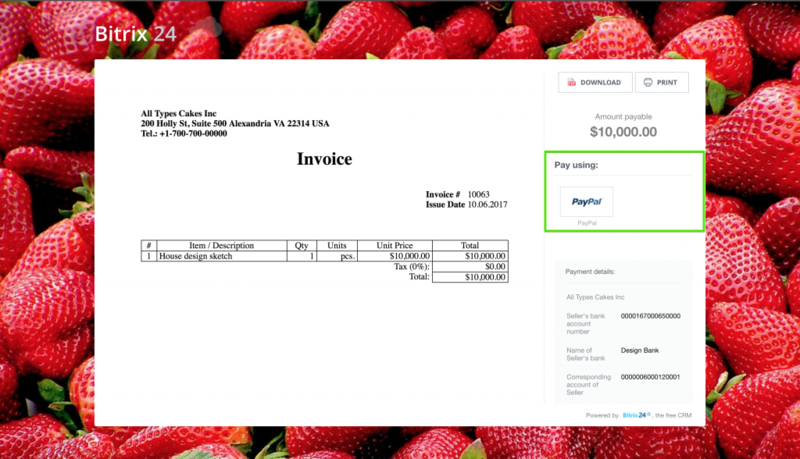 If you choose to create lead & an invoice - an invoice configuration menu will show up. If you'd like to connect your Paypal account & receive payment from your clients via this fr om, activate Forward to payment page after this form is completed option. Paypal can be configured under Settings > Payment options > Payment system > Paypal. Configure Field Rules: you can create one or several rules for your form's fields. For example, if your client chooses particular product he\she can be complimented with another product. Another example, if client chooses particular product he\she is shown additional field to fill. 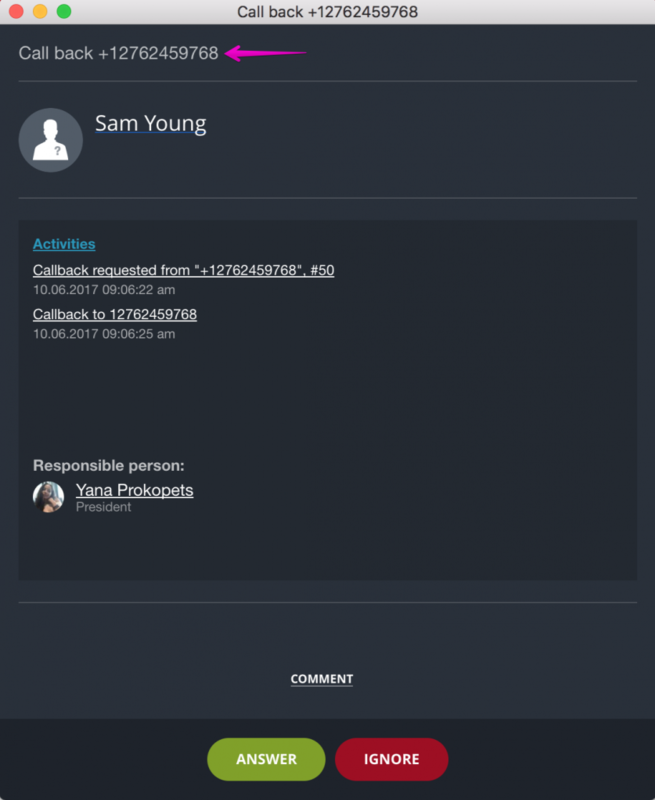 Rules can be used either to show or hide additional form fields. Add your Google Analytics ID. In this case events & goals will be auto registered. Activate Terms of service option & create new consent. 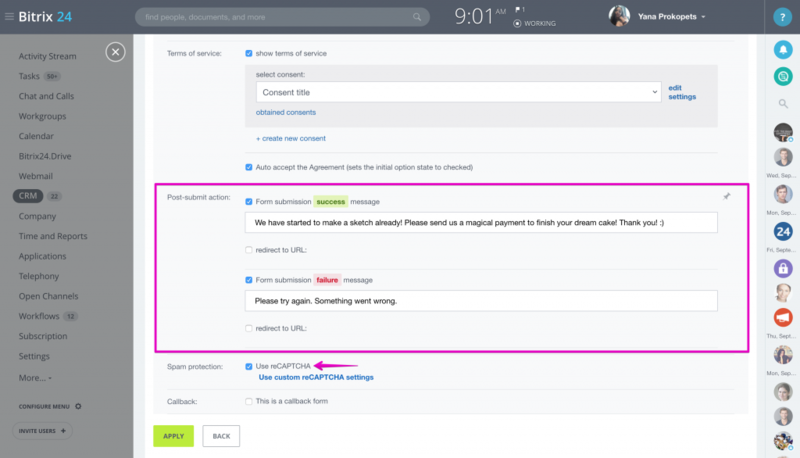 You can also activate Auto Accept The Agreement, which sets the initial option state to checked. Enable Spam Protection option which ads reCAPTCHA to the form. 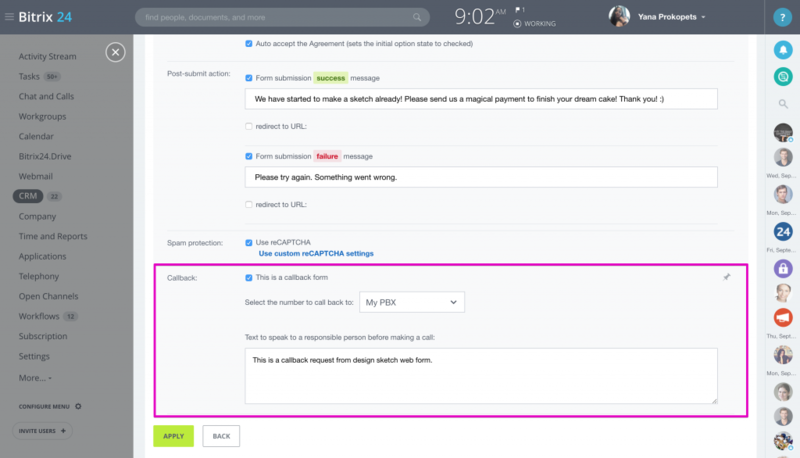 Activate callback option in case you'd like your sales agents to callback clients who have just filled the form. When the form is ready you need to save it & activate on the web forms page. Use public link to share the form with your clients.